The surface of South Houk Road, pictured, near the Pittsburgh Drive intersection in Delaware has seen better days. City Council on Monday authorized City Manager Tom Homan to apply for grants to help fund repairs to the entire stretch of Houk Road from Pittsburgh Drive to Merrick Boulevard. The City of Delaware will apply for multiple grants that, should they be awarded, will fund much-needed repairs to a pair of city roads. At Monday’s Delaware City Council meeting, plans to repair and resurface the entire stretch of Houk Road, as well as part of Union Street, were approved, and the go-ahead was given to submit the grant applications. Under the submitted strategy, repairs to Houk Road will be broken down into four sections. Those sections, lettered A-D, are: Merrick Boulevard to state Route 37 (A), SR 37 to U.S. Route 36 (B), US 36 to the railroad spur (C), and from the railroad spur to Pittsburgh Drive (D). Sections B and D would be repaired first, in 2o19. Section B is in need of repairs and resurfacing, while section D is in need of “full-depth replacement,” according to the Public Works Department. While sections A and C are only in need of seal treatment at the moment, sealing those stretches would only delay the need for resurfacing by three to five years, according to the findings of the Public Works Department. 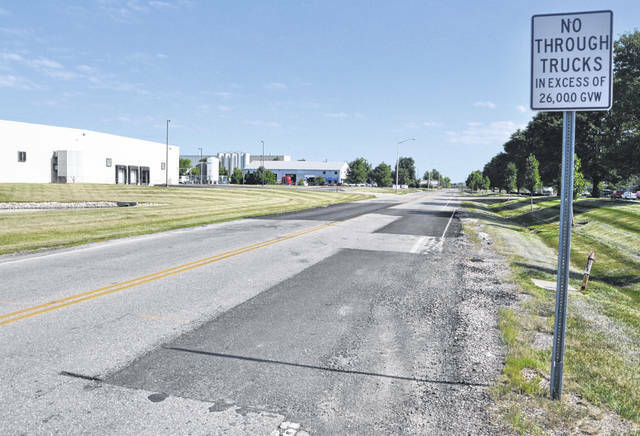 A grant through the Mid-Ohio Regional Planning Commission (MORPC) has been identified to pay for the resurfacing of sections A and C, which would be done in 2023, should the money be awarded. Repairs for sections B and D would come from grant money from the Ohio Public Works Commission (OPWC)’s Local Transportation Improvements Program (LTIP), Round 33. Combined with the repairs to North Union Street, the total cost of the improvements would be $975,000. City Manager Tom Homan will apply for the grant in the amount of $497,250. The county would contribute $125,000, which includes the standard $50,000 grant match and an additional $75,000. The cost to the city is estimated to be $352,750. To maximize their points during the scoring process for the MORPC grant that would fund sections A and C of Houk Road, the city will propose a 70/30 split in funding. If awarded, the grant will be for the amount of $609,000, leaving the city with $261,000 of the estimated $870,000 project to pay. Both applications are due later this summer, and Yoakum said they expect a final determination on the grants some time in the fourth quarter of this year.